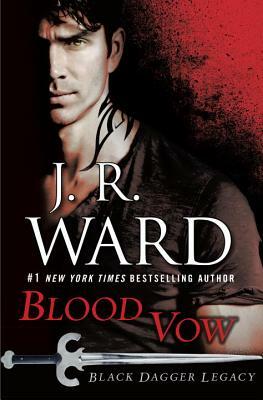 The Black Dagger Brotherhood continues to train the best of the best to join them in the deadly battle against the Lessening Society. Among the new recruits, Axe proves to be a cunning and vicious fighter -- and also a loner isolated because of personal tragedy. When an aristocratic female needs a bodyguard, Axe takes the job, though he's unprepared for the animal attraction that flares between him and the one he is sworn to protect. For Elise, who lost her first cousin to a grisly murder, Axe's dangerous appeal is enticing -- and possibly a distraction from her grief. But as they delve deeper into her cousin's death, and their physical connection grows into so much more, Axe fears that the secrets he keeps and his tortured conscience will tear them apart. Rhage, the Brother with the biggest heart, knows all about self-punishing, and he wants to help Axe reach his full potential. But when an unexpected arrival threatens Rhage and Mary's new family, he finds himself back in the trenches again, fighting against a destiny that will destroy all he holds most dear. As Axe's past becomes known, and fate seems to be turning against Rhage, both males must reach deep -- and pray that love, rather than anger, will be their lantern in the darkness.